It has been a rough stretch for fans of the Resident Evil series. 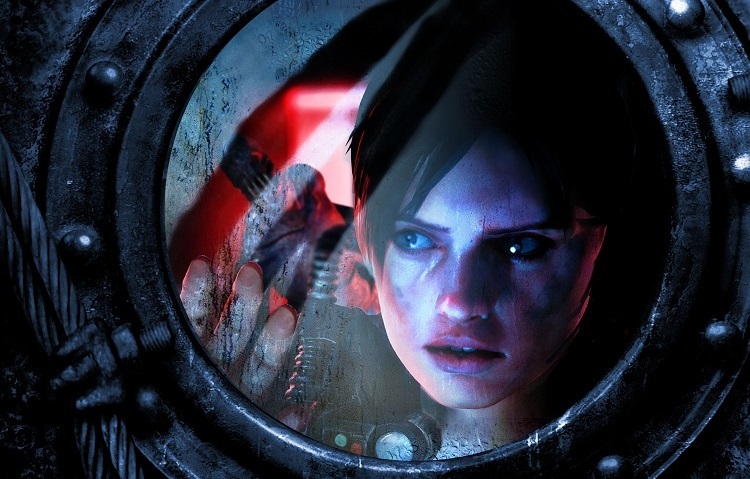 Last year saw the release of the disappointing Resident Evil 6 and Resident Evil: Operation Raccoon City. So when Capcom announced that Resident Evil: Revelations would be coming to consoles and PC, it was seen as a time to celebrate for most fans of the series. Revelations may have started life on the 3DS but it was the best Resident Evil game to come out in years. And while the game’s portable roots are evident, the transition to consoles has been a success. Revelations takes place chronologically in between Resident Evil 4 and Resident Evil 5. 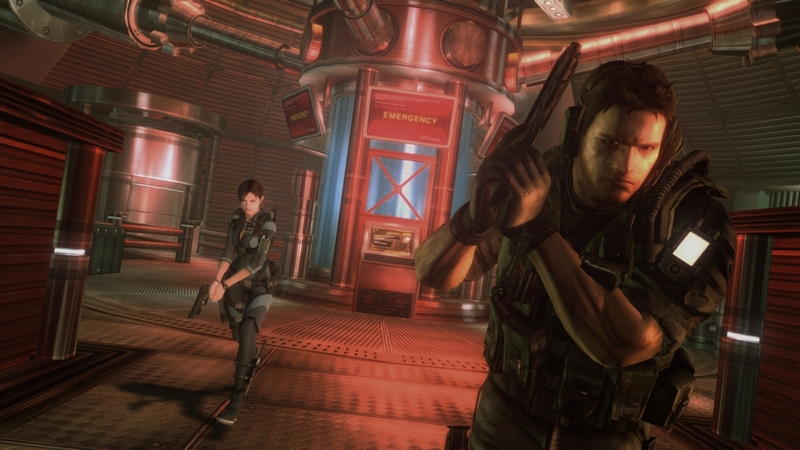 Bioterrorism Security Assessment Alliance (BSAA) co-founders, Jill Valentine and Chris Redfield are investigating the reappearance of Veltro, a bioterrorist organization responsible for the “Terragrigia Panic.” Approximately one-year earlier, Veltro launched a B.O.W. (Bio Organic Weapon) attack on Terragrigia, the world’s first fully solar-powered city located on an artificial island in the Mediterranean Sea. All survivors were evacuated and a one-hundred mile quarantine zone was set up around the city. Jill and her new partner Parker discover evidence that Veltro is holding Chris and his new partner Jessica hostage on an abandoned cruise ship, the SS Queen Zenobia. Revelations’ twelve episodes rotate between locations as well as play styles. The slower, more deliberate pace from the original games in the series is merged with the more action-oriented pace from later games. Most of Revelations takes place on the Zenobia. 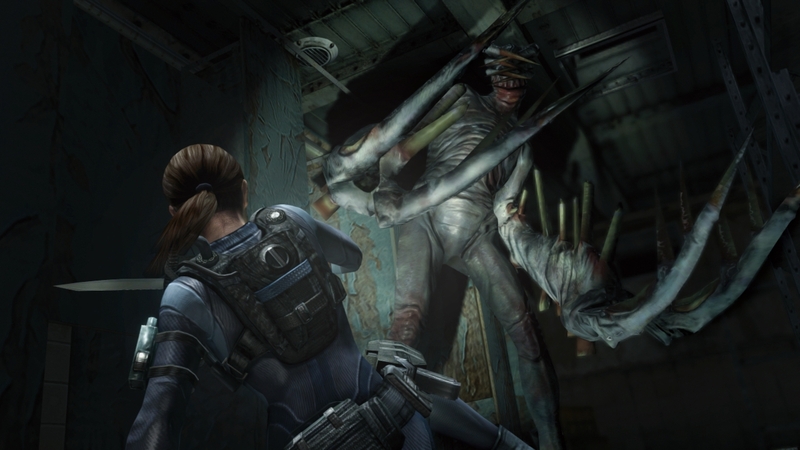 Players primarily control Jill through these episodes which resemble the pacing and feel of earlier Resident Evil titles. Although not your traditional zombies, the enemies located on the Zenobia are slow walking and like to appear out of air vents and crowd the halls of the mansion-like cruise ship. While you explore most of the Zenobia early on, many doors and locations are locked so back tracking becomes a necessity. Thankfully, the way the game is broken up into different episodes and locations, this doesn’t become an issue; the pace of the game remains brisk throughout. One of the game’s main additions is the genesis scanner. Scanning rooms will unveil the location of ammo, items and upgrades. You can also scan enemies to gain knowledge about them. Every time you scan an enemy type, you gain a percentage amount towards unlocking an “antidote” (basically a health kit) when you reach one-hundred percent. You gain a larger percentage amount if you scan a live enemy as opposed to scanning its remains. If you’ve played Resident Evil 4 and Resident Evil 5, then the combat controls in Revelations should feel familiar. The weapons feel good, especially once upgraded, but never to the point where you feel invincible. You can still get backed into corners on the Zenobia and dodging takes a bit to get used to. 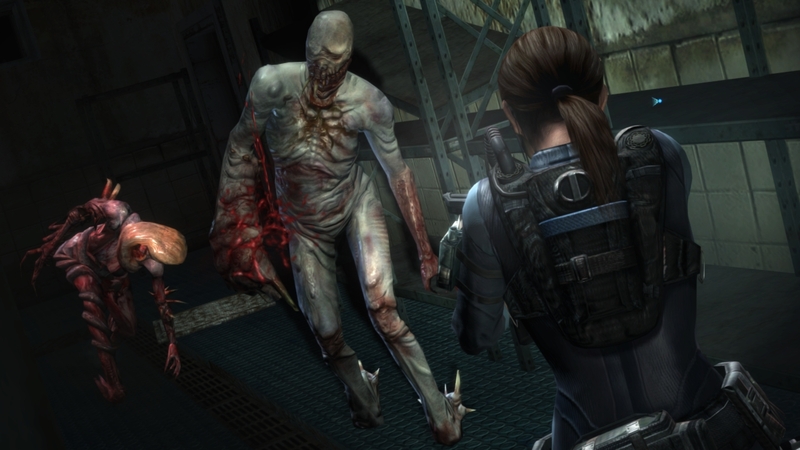 Also, melee attacks are nowhere near as relevant as they were in Resident Evil 6. Unfortunately, Revelations does make a couple of missteps along the way. Each episode starts with a “Previously on Resident Evil Revelations” summary of the story up to that point. Given the game’s portable roots, I totally understand why they are included but each episode is so short, these flashbacks aren’t always necessary. Even if you play straight through one episode into the next, the game will still feel the need to update you on what you just did. Capcom also managed to introduce the two most annoying characters in the series’ history, Keith and Quint. That’s a tall order for a series whose characters can be a little over the top. And while the story in Revelations is just as convoluted as always for the series, it is a bit easier to follow this time around. But once you get to the end of it, the “revelations” exposed aren’t all that relevant to the series. Playing on the Wii U also gives players a couple different choices in how they want to display the game. First off, you can play with the game running on your TV with the level map and weapon switching accessible on the GamePad. Or you can just play the entire game on the GamePad if need be. The game looks great running on it and it’s a totally viable way to play Revelations. Revelations also supports Miiverse communication. Players can leave notes after death giving tips on how to get past a certain boss or just expressing their frustration (I can’t get the hang of dodge was a common remark) which players will see if they die in the same area. 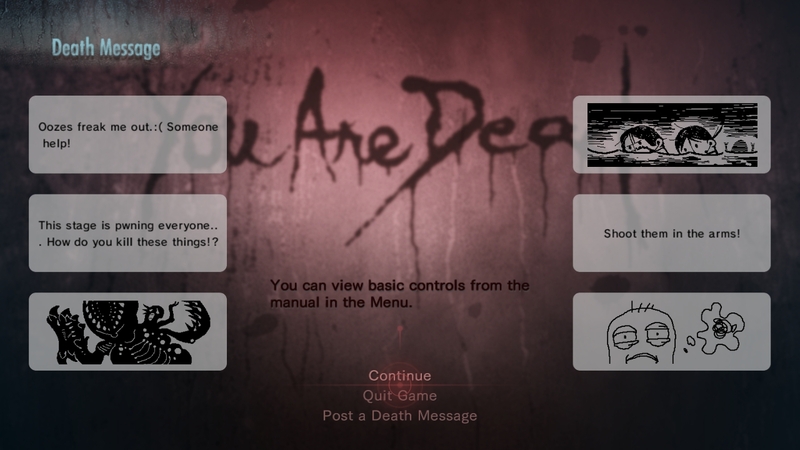 Players can also write messages over enemy types in Revelations’ Raid Mode, where players fight off enemies solo or with another player online to level up and earn points which can be spent on purchasing more and better gear. While it may seem gimmicky, the Miiverse communication integration did end up aiding me. A death note left by another player helped me remember how to defeat a boss. It is totally optional and can be turned off completely if it doesn’t sound like something you’d enjoy. Players can even edit the settings to allow or hide posts that may contain story spoilers. I remember being surprised at how good Revelations was when I first played it on the 3DS. While it’s not as scary as the original games in the series, it shows that Capcom still knows how to make a good Resident Evil game. The blending of old-school horror and action is the direction that the numbered sequels in the franchise need to go in. Revelations shows that Capcom can make it work and hopefully the inevitable Resident Evil 7 will be better off because of it.